From the Baldwin County Courthouse, go west on Hancock Street for 2 blocks or 0.2 mile (or the one large block containing Georgia College & State Univ.). Turn right on Clarke Street. Go one large block or 0.2 mile. Turn left onto Highway 22 west (Montgomery St.). Go for 9.6 miles to the house at 644 Hwy 22. 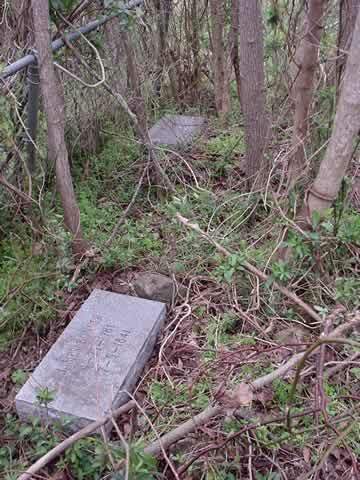 The graves are in a deteriorating chain-link fence just outside and to the left of the yard fence of the house.